For many years, VMware Server has been VMware’s sole FREE virtualization offering. VMware Server runs on top of the Windows or Linux operating system and is an excellent platform for server virtualization. Recently, it was announced that VMware ESXi Server will now be offered at no cost. Now, if you are looking for a powerful but free virtualization platform for your SMB (from VMware), you have a choice between VMware Server and VMware ESXi. 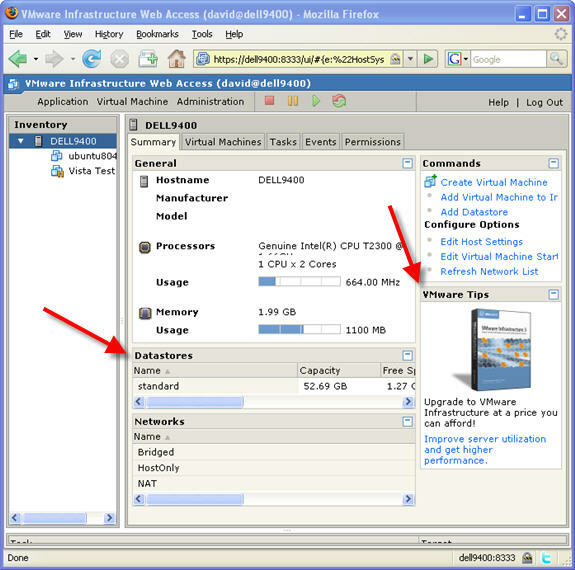 With the release of VMware Server 2.0, there are many few features offered with VMware Server. In this article, let’s find out what VMware Server has to offer and how VMware Server compares to ESXi.